In her 4th season with the team, Tianna Hawkins started 4 games and came off the bench in 28 to provide a spark to the team. 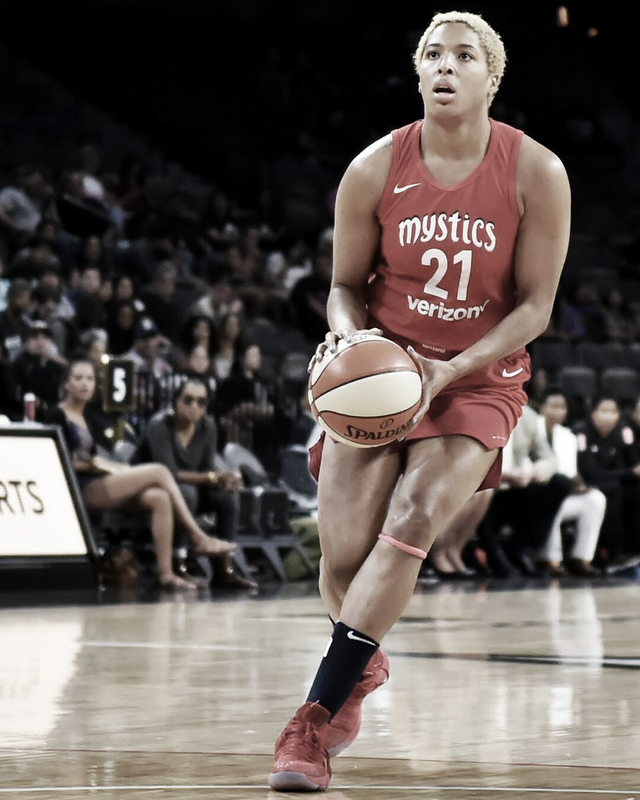 She tied a career-high 17 points in the regular season (5/22) as well as scoring a career-postseason-high 17 points in Game Five against Atlanta in just 10 minutes of play. 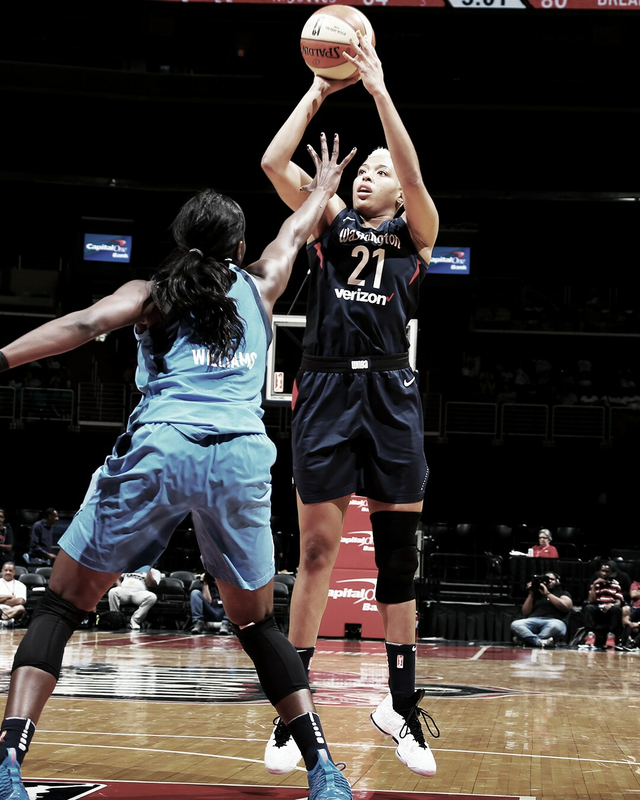 Hawkins set career highs in blocks (3), rebounds (12), assists (3) and threes made (25). 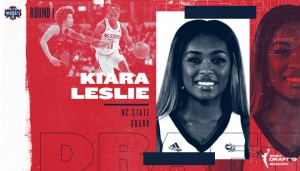 She can attribute these numbers to her hard work this offseason in which she didn’t go overseas, but was in the gym working out with Eric T. and strength coach Sarah Walls. 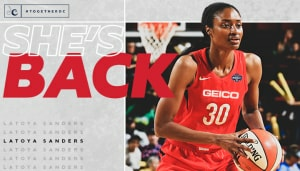 And that hard work showed off in more than just the numbers, it also showed in her endurance, especially in the stretch of our long playoff run. 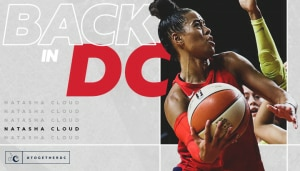 Scored a career-high 17 points three times during the 2018 season, including her performance in Game 5 of Washington’s postseason series with Atlanta. 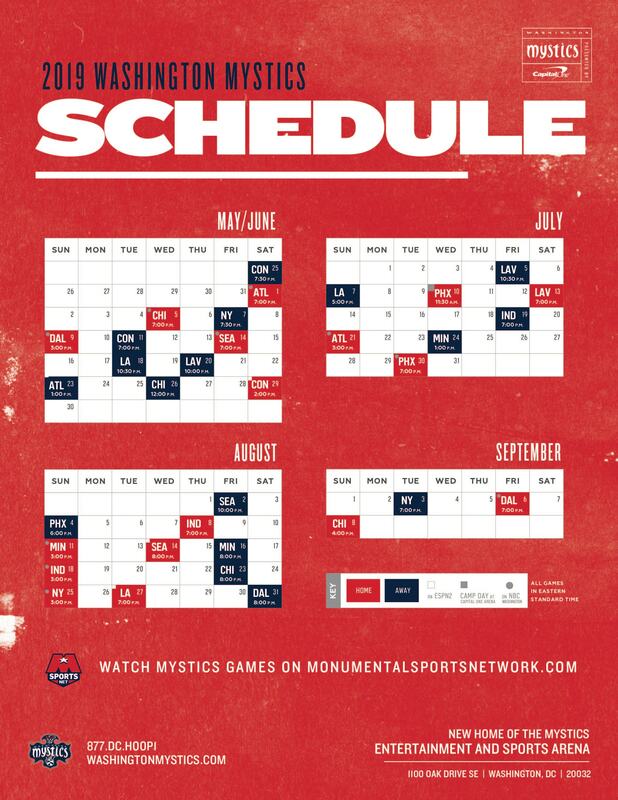 2018 regular season and three times during the postseason. Scored 10+ points six times during the 2018 season. 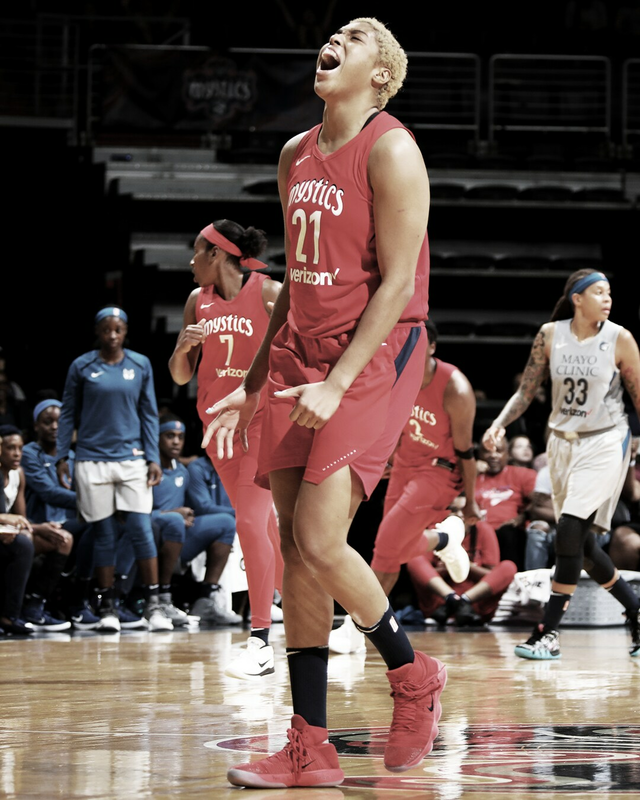 Ranked third on the Mystics with 3.5 total rebounds per game. 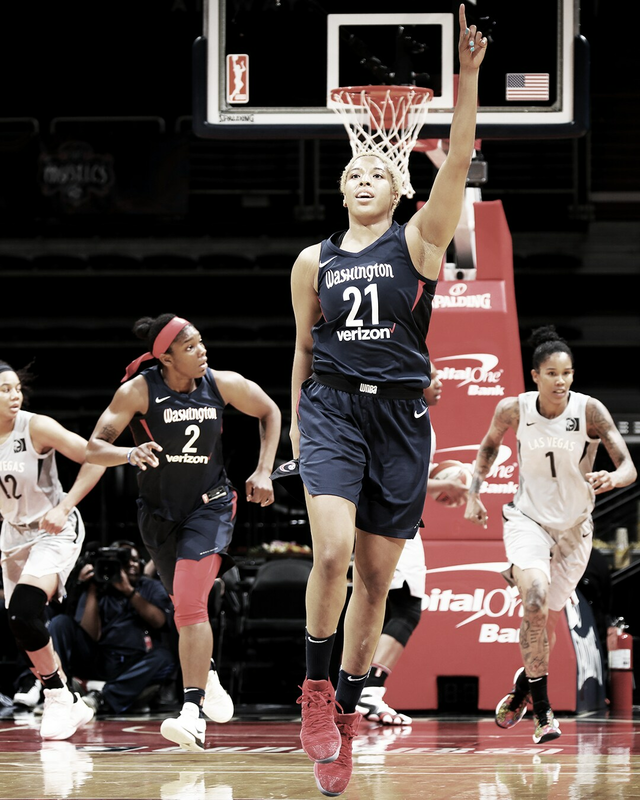 Tied for third on the Mystics with 0.4 blocks per game. 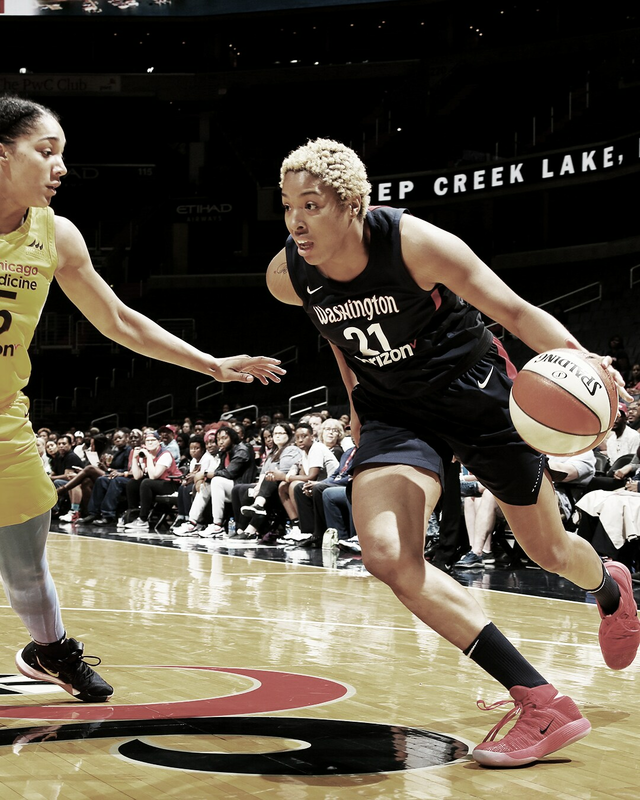 May 22 vs. Las Vegas – Hawkins scored career high 17 points, all in the second half, on 6-10 (.600) from the field and 3-7 (.428) from 3-point range. 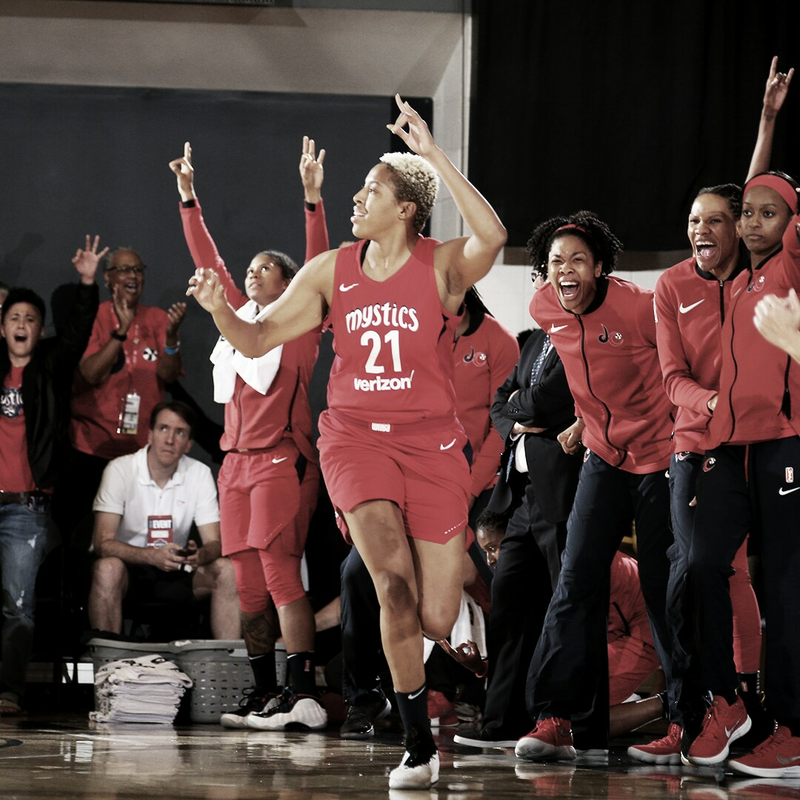 May 30 at Phoenix – Recorded her only double-double of the season, scoring 13 points on 5-10 (.500) shooting to go along with 12 total rebounds and three assists. 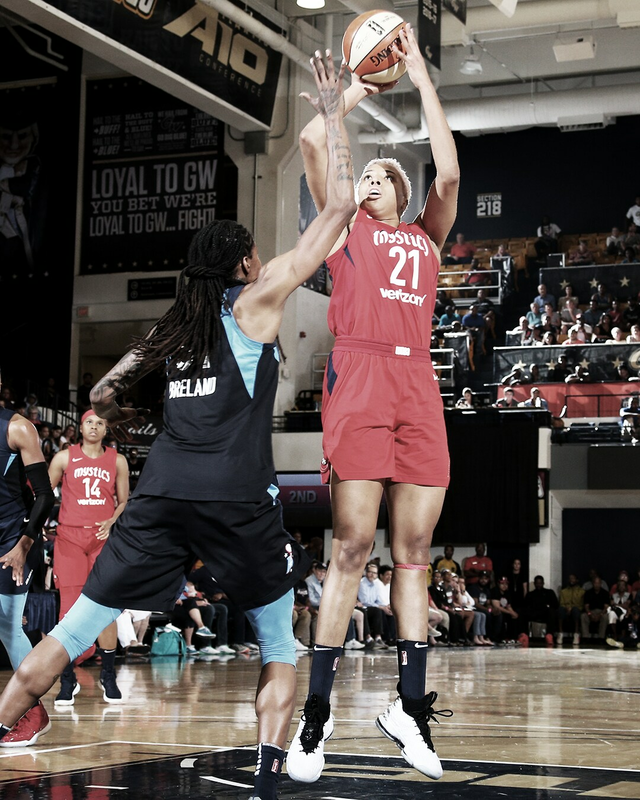 September 4 at Atlanta – Tied her career high with 17 points in Game 5 of Washington’s semifinal series against the Dream. Hawkins shot 6-8 (.750) from the field and 3-4 (.750) from 3-point range. 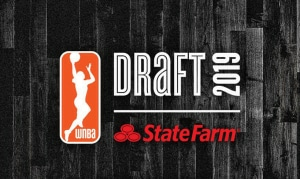 Tianna is set to play overseas in South Korea for Samsung Life Blue Minx.